for Thanksgiving or any other occasion. 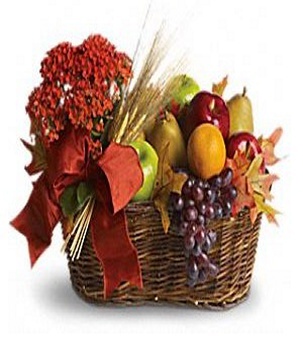 Contents include a variety of fruits and nuts with a beautiful fall design of leaves. We can also add a few chocolates if desired.